A close-up of one node of a triangular honeycomb. The structure, which consists of air surrounded by ceramic, can be designed with specific porosity. 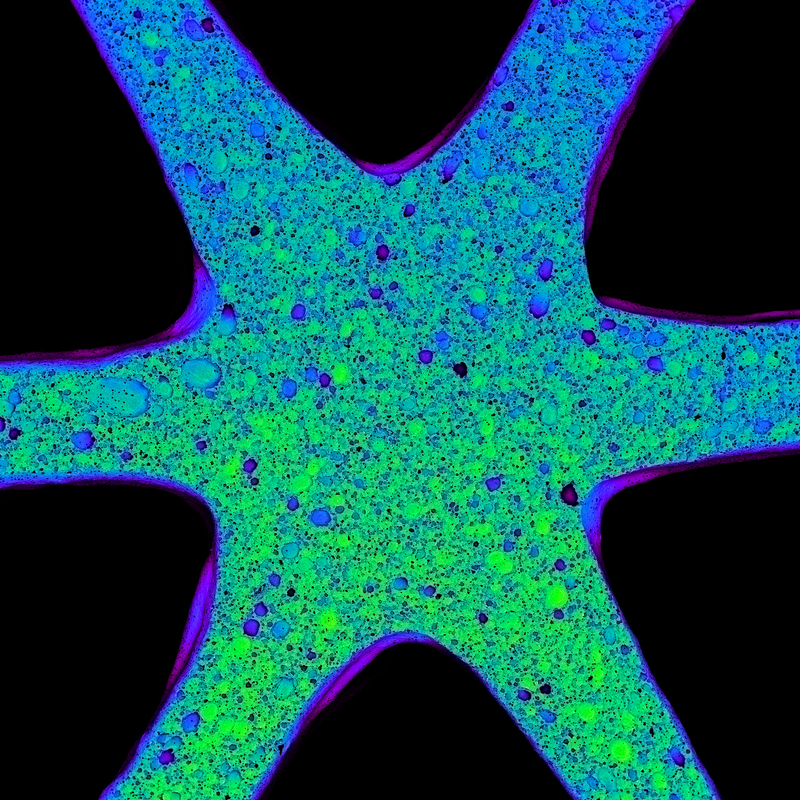 Researchers, inspired by natural cellular structures, have developed a new method to 3D print materials with independently tunable macro- and microscale porosity using a ceramic foam ink. 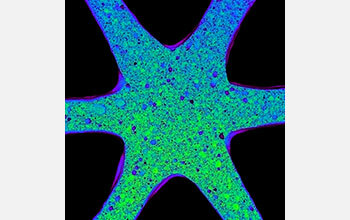 "By expanding the compositional space of printable materials, we can produce lightweight structures with exceptional stiffness," said Jennifer Lewis, Hansjorg Wyss Professor of Biologically Inspired Engineering at SEAS and senior author of a paper published about the research. The ceramic foam ink used by the Lewis Lab contains alumina particles, water and air. By controlling the foam’s microstructure, the researchers tuned the ink’s properties and how it deformed on the microscale. Once optimized, the team printed lightweight hexagonal and triangular honeycombs, with tunable geometry, density and stiffness. The research was supported in part by the National Science Foundation. This image is made available to non-commercial entities, press and the general public under a Creative Commons Attribution Non-Commercial No Derivatives license. You may not alter this image other than to crop it to size. A credit line must be used when reproducing this image.